PrabhasMyHero Blog: Baahubali 2 pre-sold at a profit a month before release! Baahubali 2 pre-sold at a profit a month before release! SS Rajamouli’s Baahubali 2: The Conclusion has become the most viewed trailer in India. 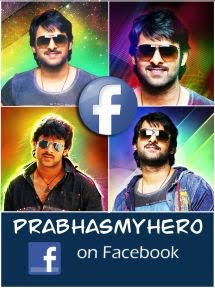 It has 87.5 million views (from Telugu, Hindi, Tamil, Malayalam trailers) in six days since it went live on March 16. A day after the trailer launch SS Rajamouli tweeted – “ One of the reasons Baahubali franchise got the attention of the viewers is, the scale and grandeur with which we designed and created each part”. Yarlaggada says 65 million of the trailer views were from You Tube, out of which 32 million was Telugu, 27 million in Hindi, 5 million in Tamil and 1 million from Malayalam. 27 million views in Hindi for a dubbed film is phenomenal by any yardstick. 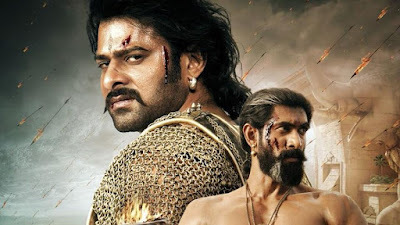 The sequel to the 2015 blockbuster Baahubali: The Beginning is now the hottest film at the box-office as it is expected to take a humongous opening when it releases on April 28. The trade buzz is that Baahubali 1 grossed Rs 600 crore worldwide, with the producers share around Rs 250 Crore. The distributors of the film made more profits than the producers. For example Baahubali 1 distributor in North America purchased it for $4 million and the film got him a share of $ 9 million. Now, the North America rights for Baahubali 2 rights have been snapped by a different distributor, Great India Films, for a whopping $ 7 million and as per his expectation the film has potential to do $15 million and break all records. The previous highest record collection for an Indian film in USA is Aamir Khan’s Dangal at $ 12.3 million. Arka Mediaworks’ Shobu Yarlagadda and Prasad Devineni have arranged for a new set of distributors in all territories, barring Hindi version. The Hindi version is being done by Karan Johar’s Dharma Productions and Anil Thadani’s AA Films. The association with Karan Johar is one of the main reasons why Baahubali became a major brand in the Hindi heartland. SS Rajamouli and the Baahubali team of Prabhas and Rana Dagubatti also gifted Katappa's sword to Karan Johar. In the rest of India except Kerala, the makers have opted for different distributors who have paid them record amounts. Kerala distributor Global United Media is reported to have paid double the amount they paid for part one. Yarlaggada says the total budget for both the parts Baahubali 1 and 2 is Rs 450 Crores. The trade buzz is that Baahubali 2 will get a share between Rs 400 to Rs 500 Crore for the producers from theatricals, endorsements, merchandise, games, satellite and other rights. The satellite deal for Baahubali 2 is a record Rs 78 Crores with Hindi going to Sony (Rs 50 Cr) and Telugu, Tamil and Malayalam with Star Network (Rs 28 Cr). The digital rights are with the producers who are negotiating with Amazon and Netflix. “Yes, we have already made profits before release from Baahubali 2 . We are confident that the film will be another blockbuster and our right holders will make profits," says Yarlaggada. Baahubali 2 is slated for release on April 28 worldwide in four languages in 6500 screens in India, 750 screens in North America and another 1000 in 30 other markets. It will be the biggest ever tent pole release for a Indian film.